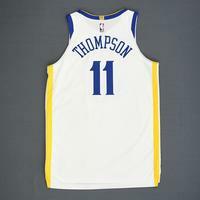 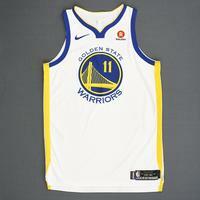 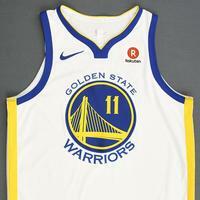 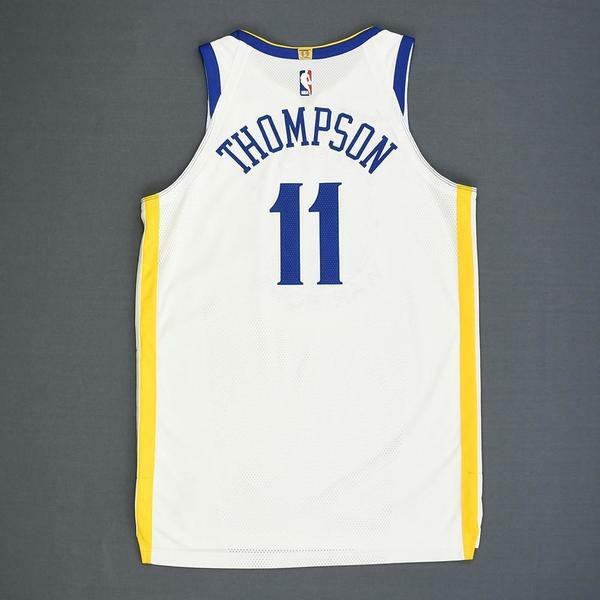 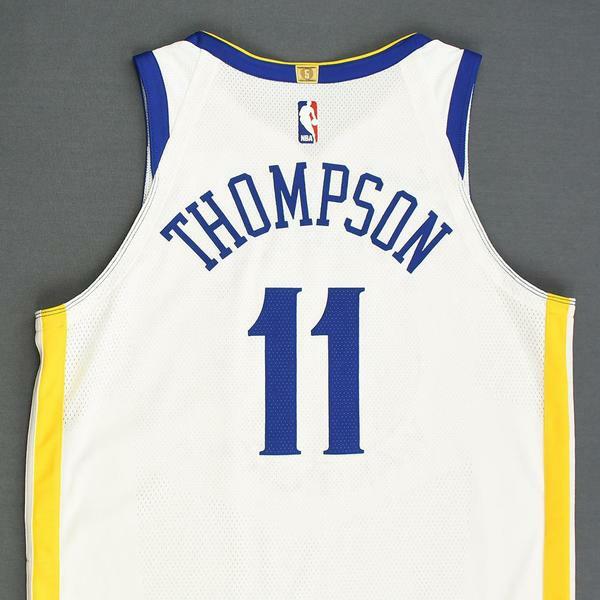 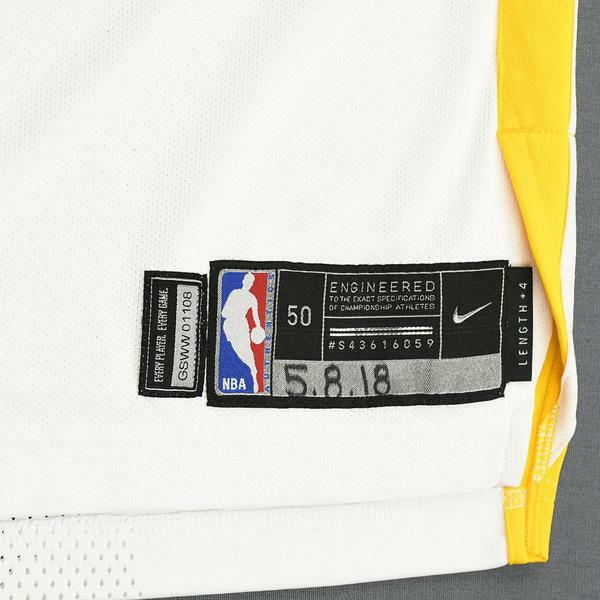 Thompson wore this jersey during the Warriors' 113-104 Western Conference Semifinals, Game 5 victory over the New Orleans Pelicans on May 8, 2018 at ORACLE Arena in Oakland CA. 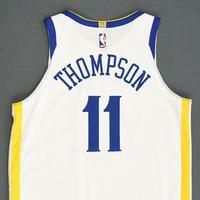 He played 37 minutes and registered 23 points with 3 assists, 6 rebounds and 1 steal. 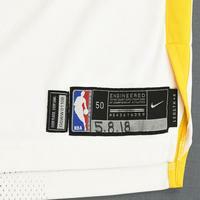 "5.8.18" is handwritten on the jock tag.